Both GABA and gabapentin are similar to each other but they have their differences. The first point of difference is their structural make-up. Gabapentin is a GABA analog, meaning that it looks very similar structurally but it is not completely the same. GABA is an inhibitory neurotransmitter found in the central nervous system (CNS) that regulates its excitability. On the other hand, gabapentin was created to mimic some of the effects of GABA but it does not appear to affect the same receptors in the brain. Another function of GABA is its responsibility for regulating the body’s muscle tone since it is linked to the pituitary glands which affect human growth hormone (HGH) levels. Gabapentin was developed for treating epilepsy by alleviating the excitability of a patient’s nervous system. This also helps with other disorders with neuropathic pain, for example fibromyalgia, insomnia, and bipolar disorder. Another name for gabapentin is Neurontin, and this medication has no effect on the amount of GABA in the brain. Neurontin is not converted into GABA either, and acts as an anticonvulsant which also has some analgesic properties. Gabapentin can be bought with a doctor’s prescription, and is frequently used to address seizure disorders. It can also be prescribed to help those who experience specific kinds of pain. Some of the most prevalent side effects are dizziness, drowsiness, and fatigue. Some individuals who take this may also encounter such symptoms as weight gain, hallucinations, and gastrointestinal disturbances. For more extreme symptoms, patients may experience suicidal thoughts, drastic behavioral changes, and difficulty breathing. Any concerns you may have about taking gabapentin and its side effects should be directed towards a doctor. Fortunately, many patients do not suffer any negative side effects as a result of taking this drug. Those who do report only mild symptoms; nothing that could impact their daily life. However, in the beginning, you should report any problems you encounter to your doctor as a precaution to determine how well your body is responding to this medication. Symptoms are most commonly experienced when one first begins taking the drug. One may also experience this when acclimating to a higher dosage of the drug, assuming the doctor recommends you up your dosage. Just to be safe, do not operate any heavy machinery or take part in any strenuous activities while you are on medication. 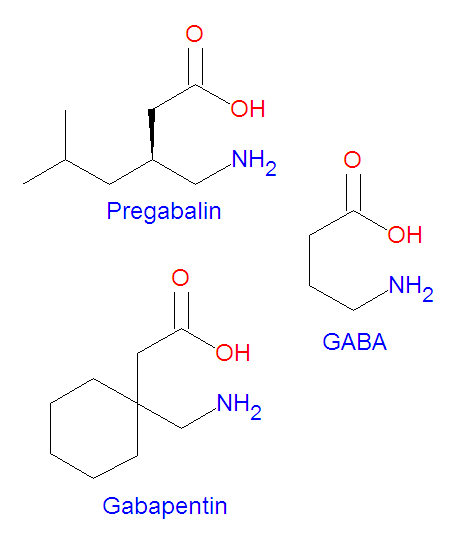 In closing, GABA and Gabapentin are two different things. Though they may have some similar effects (e.g. reducing excitability), and structurally they look alike, they both serve different purposes. Taking gabapentin does not increase GABA in the brain. GABA Deficiency: How Does it Affect You?